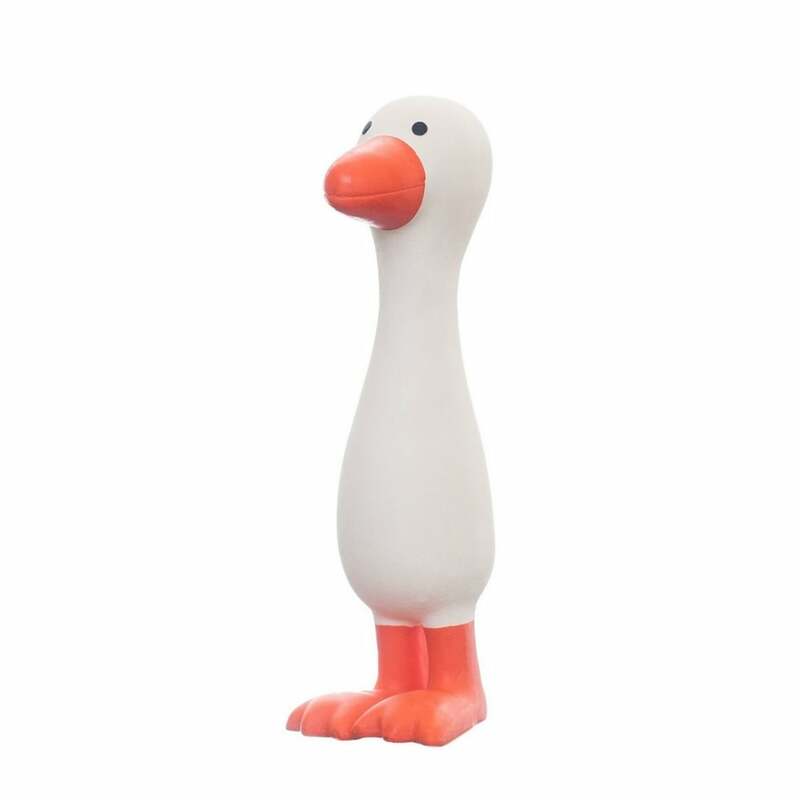 The Sweet Dreamers Gertie the Good Goose is specifically sized to sit perfectly in your babies hand and soothe sensitive gums. Why should I choose Sweet Dreamers Gertie the Good Goose ? Sweet Dreamers Gertie the Good Goose helps baby deal with the teething phase. Gertie the Goose lets baby have a good old chew on the feet, tail and beak for pain relief and sometimes will provoke a little giggle looking at this strange object. Gertie the Goose gives a little quack that your baby will soon identify with. Gertie the Goose is relatively soft and comes with the faintest whiff of vanilla. The contrasting colours are deliberate. Baby can deal with these much easier than soft or multi coloured items. What are the specifications of the Sweet Dreamers Gertie the Good Goose ? Your Review - Love Gertie! Super cute and really seems to be helping my son while he's teething.